Welcome, formally, to Retail Week Connect. After 3 years of producing brilliant content marketing campaigns behind the scenes for our clients, we’ve made it our 2017 resolution to walk to the front of the stage. And with the discipline (if you can call it that) of B2B content marketing being a world away from where it was 3 years ago, every year brings new developments and trends to keep up with. Be it great or lacklustre, content of all guises from all sources pours in to our inboxes and appears on our social media feeds. No one needs more content. With content marketing strategies now firmly entrenched in B2B marketers’ strategies, what makes a great B2B campaign? It’s about relevant content. Content that in our case genuinely makes retailers think differently and solves their problems by presenting compelling insight in a compelling format that is relevant to them. So in what promises to be an ever-crowded content world in 2017, here are some New Year’s resolutions that can help marketers plan the most effective campaigns with their ever-increasing content marketing budgets. There is a subconscious tendency with B2B content to be, well let’s face it, dull. Even if you’re targeting people in the most technical job function imaginable, that person is still a consumer. They don’t want industry jargon, dry facts or dull statements, regardless of whether it could have a life-changing impact on their world of work. B2B audiences need entertaining too. We want people to click on our stories, download our insight, watch our videos, share them, and talk about them. The emotions that drive people to do that are universal. The art of storytelling is as relevant in B2B content as it is anywhere else and video the perfect medium to do that. Every human is a visual thinker – 75% of the neurons in our brains process visual information. With the competition for stand-out content so high, video grabs attention. Documentaries, vodcasts or motion graphics all enable people to absorb huge volumes of content whether they’re commuting, at their desk, or at home watching TV. Video will continue to form an increasingly essential part of your content marketing campaigns and the expert content marketers will find the optimum mix of words and visuals for their audience. 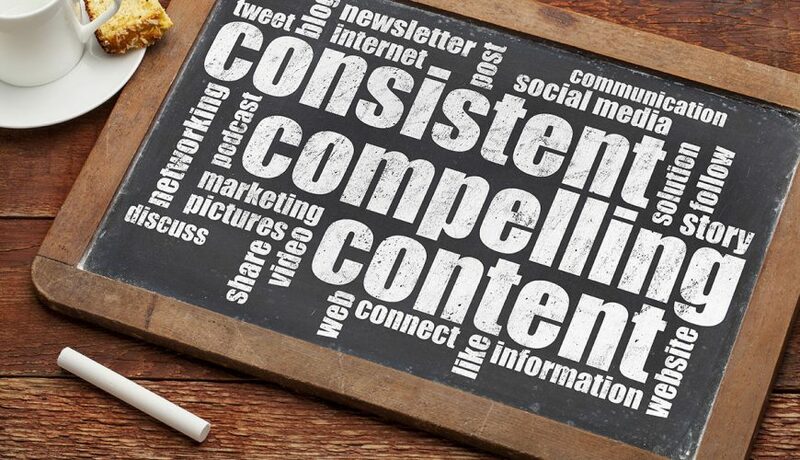 B2B content marketing is not going to give you an immediate return on investment. The funnel is deep, but the end result is an emotionally engaged customer who believes in your values and how you can help them, rather than just knowing about the product you sell. A great content marketing campaign needs to start by building engagement and long-term trust before moving to talking about your product and building on sales qualified leads. Patience in understanding the long-term will result in a far more loyal customer and a better ROI. Welcome to Retail Week Connect. Charlotte Hardie oversees the content for Retail Week’s bespoke, client-led commercial projects.These include research reports, thought-leadership white papers and features, online content, roundtables and webinars. In this client and industry-facing role she regularly hosts and chairs Retail Week awards, events and conferences for the brand.